Chocolate (Cocoa) is a classic target for Leaf cutters. The leaves always show signs of being cut. 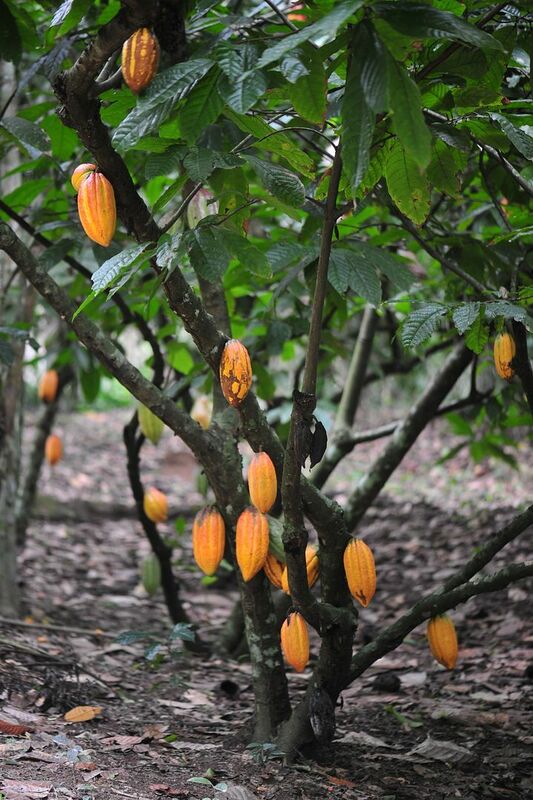 But most people dont actually know what the cocoa pods look like that produce the chocolate. 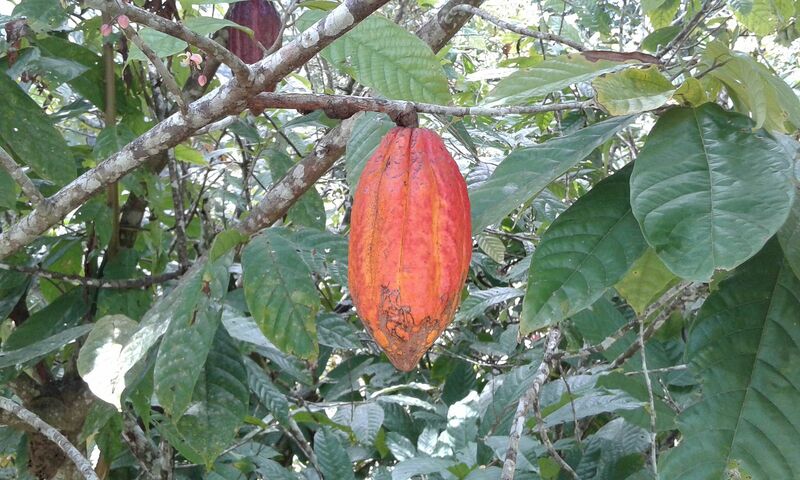 and heres a cocoa pod up close, turning the dark colour that shows they are ripening. 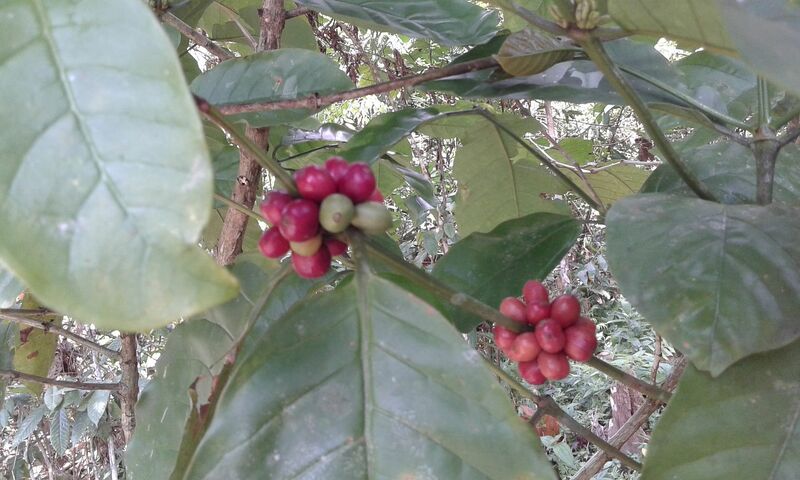 Coffee is a favourite also. You can get these plants at garden centres but they rarely produce beans, shown here. Nutmeg is a prize plant. Apparently it was the most expensive food in the world during the early days of the British Empire. 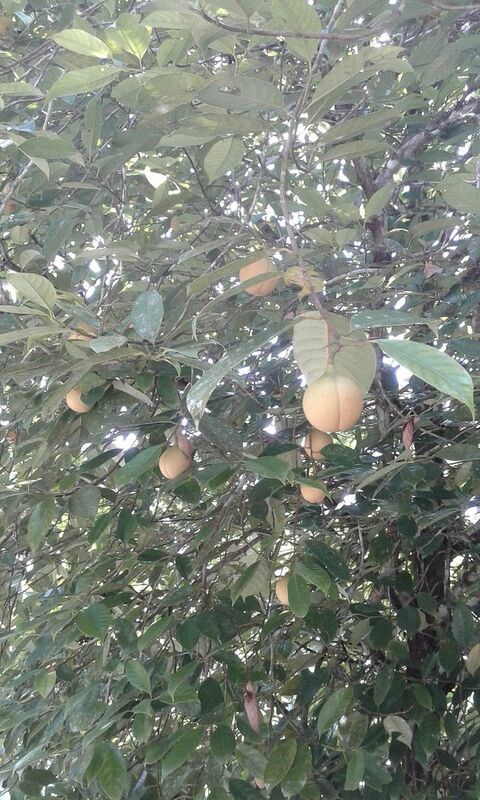 Here the tree is covered with the fruits containing the nuts. These trees are visited regularly by the neighbouring leaf cutters. And finally, of course, the favourite, Citrus. 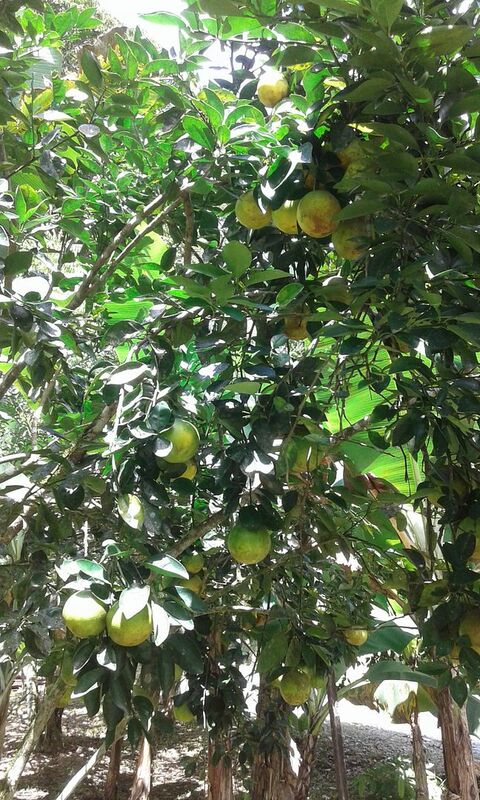 If a plant was made for Leaf cutters, its citrus! Actually, interestingly, apparently Azteca colonies living on citrus trees almost eliminate leaf predation by Leaf cutters.